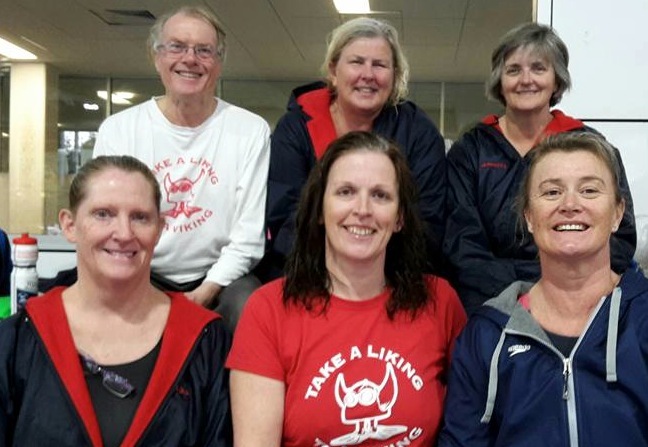 Nine of our club members participated in the MSNSW Long Distance Championships 2015 held at Knox Grammar, Sydney in 25m short course format, and what a participation it was!! 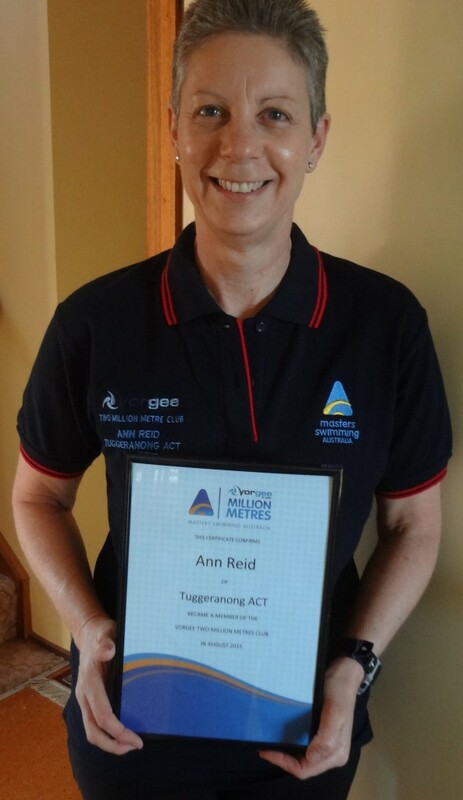 We won the overall club points competition by 20 points – so a massive congratulations to the club and in particular to the participating swimmers: David Bale, Otto Benda, Katrina Burgess, Donna Campbell, Leisa Cass, Jeanette Droop, Caroline Makin, Jon McRae and Anne Smyth. Overall, we earned 10 gold, 5 silver and 1 bronze medals. On individual efforts, Katrina and Anne both earned the full 20 points for their swims. Caroline, Katrina and Leisa recorded PBs – congratulations. Anne was 0.11s off her 400m Backstroke PB, but of course her time was what many of us can only dream about. Others recorded useful benchmarks for future competitions. Some could not match their times from endurance sessions, so back to racing strategy!! Leisa videoed many of our swimmers on her tablet, so if for those who are interested in watching how good or bad their stroke looks from the deck, negotiate with her for access to the footage. It was a long day, but when Leisa and Donna reconnaissanced the neighbourhood and discovered Baker’s Delight and great coffee next door, all was well. Much spare time was also taken up by timing duties, and some of us had the opportunity to time attempts at national and even world records. It was a shame we had such a long drive to get back home, a beer or three would be very useful to replace the lost fluids and carbohydrates following some very serious (especially the four swimmers who did 1500m Breaststroke or Backstroke) swims! Looking forward to next year’s Long Distance Championships. 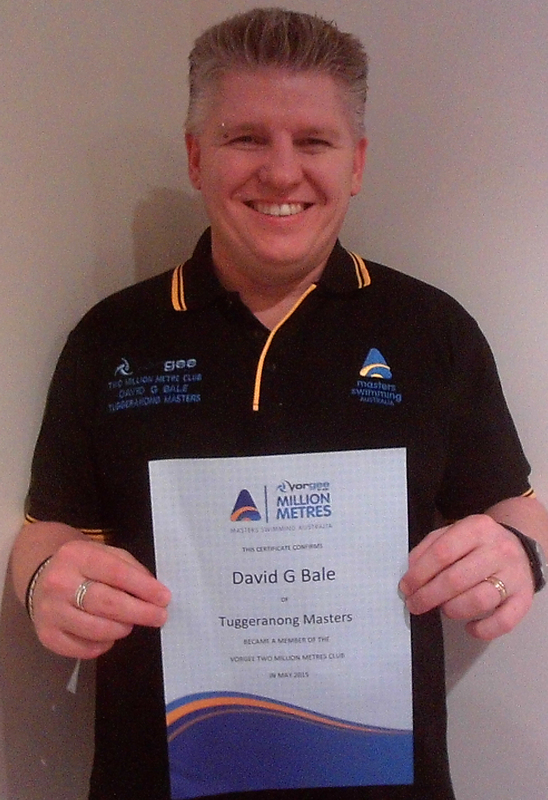 Congratulations to David Bale on achieving his Two Million Metres award in April 2015. David joined the Million Metres Club in August 2012 around two and a half years after starting his million metres journey. 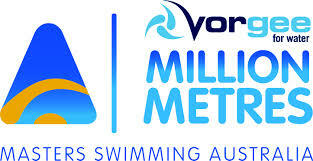 In April this year, David swam his two millionth metre, around 2 ¾ years after his first million. David tries to swim regularly four times a week: three training sessions and one endurance session.